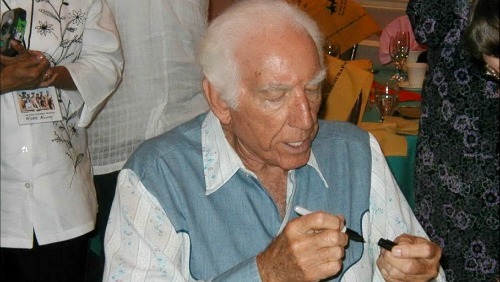 Days of Our Lives (DOOL) spoilers has some sad news to pass on about a former Days star, Morgan Woodward, who portrayed Phillip Colville on the NBC soap, has passed away at the age of 93. He died at his California home on February 21, 2019. Morgan was on Days from 1987-1988 and portrayed Diana Colville’s (then played by Genie Francis) father. But he was far better known for his roles in various television western series, such as Gunsmoke, Wagon Train, The Life and Legend of Wyatt Earp, and Bonanza. Morgan’s film career was just as prolific. He portrayed “the man with no eyes” in Cool Hand Luke, alongside Paul Newman. He also appeared in The Great Locomotive Chase, The Gun Hawk, Gumpoint, Firecreek, and many other feature films. Morgan made 250 television and film appearances during his career. According to his obituary, he ended his career by appearing in The X-Files episode titled “Aubrey,” in which he played a murderer who had passed down murderous DNA to his grandchild. Our sincerest condolences go out to Morgan’s family at this time. Stay tuned to DOOL and don’t forget to check CDL often for the latest Days of Our Lives spoilers, updates, and news.